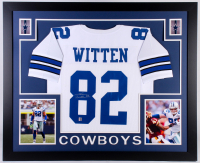 Custom framed display measures 35" x 43" in size. 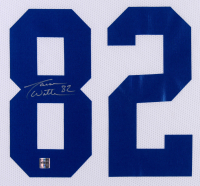 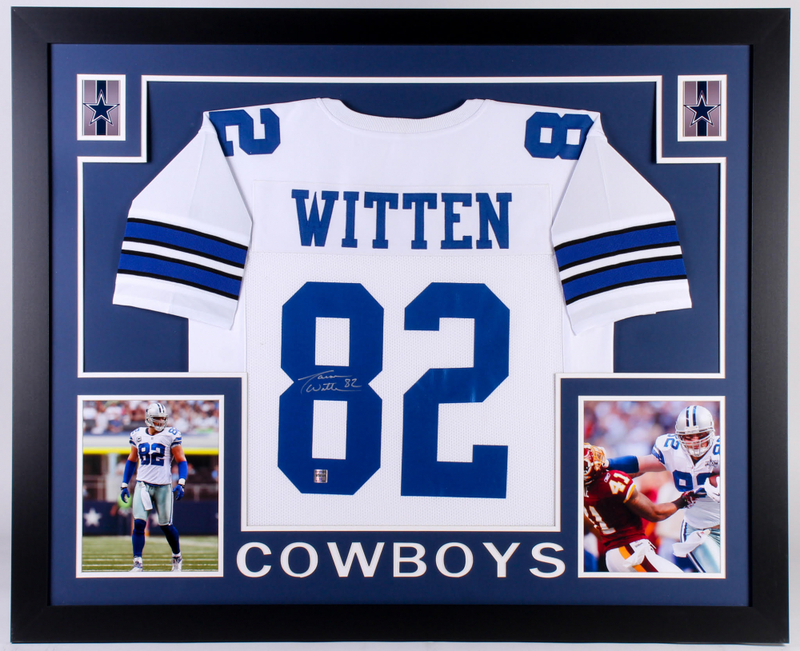 Features a jersey which has been hand-signed in silver paint pen by Jason Witten. 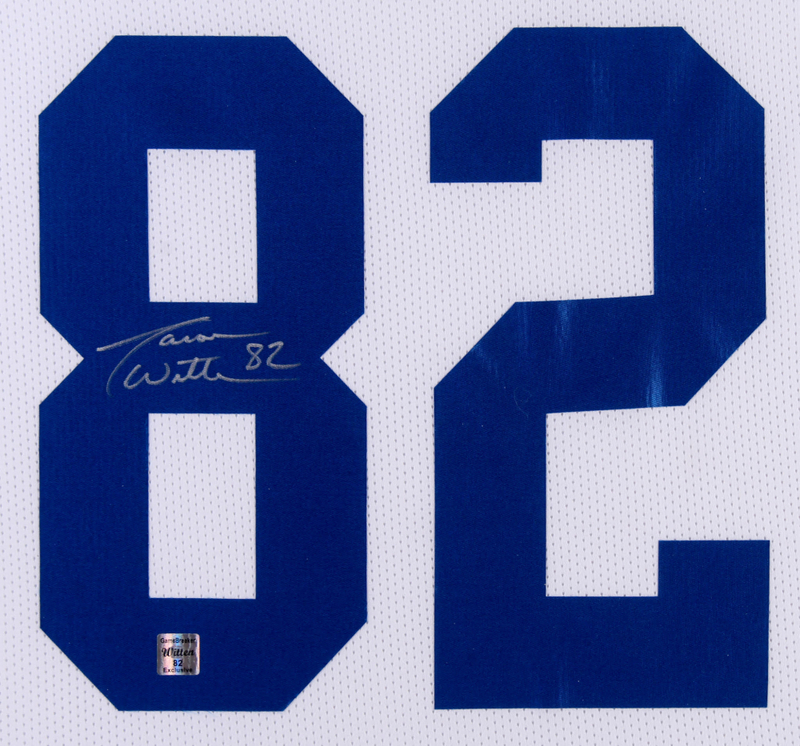 The lot / autograph(s) includes an official Jason Witten hologram for authenticity purposes.